RUSH: We're gonna be discussing the midterms. The media is now flooding the zone with polling data showing that it's hopeless for Republicans. Folks, steel yourselves for this. This is predictable. It was going to happen. And they're also gonna say that it's all based around Trump. It's all based on Trump hatred. It's all based on people regretting their vote for Trump, regretting the direction America is going in, all of that. I just saw it happen on CNN. "Independent voters switching massively to Democrats in run-up to midterm elections!" And if I were you, I'd hold off on believing it and as we get closer here. I know there's early voting going on. We're gonna tackle some of this in an attitudinal way. Can't wait until a week before the election for a full-court press because of the early voting that's happening out there. So it's an ongoing effort to try to dispel people of popular myths that the left bands together. You know, I think one of the most effective ways of getting people to think about this is to ask: How many people...? How many have you heard people say, "This is the most important election of our lives! That's right." It's not. This is not the most important election of our lives; 2016 was. If Hillary had won in 2016... That's what we need to focus on. That's the kind of stuff we need to ask people to consider. "What would be happening in America right now in the past two years if Hillary had won? Who would be running various cabinet posts and agencies? What do we know today that we would not know if Hillary had won, including names of people and what they've been doing?" If you hit people between the eyes with, "What would America be today if Hillary had won?" it's a different way of getting people to focus on the importance of the elections. The Drive-Bys have their formula, and it's rooted in the desire they have that everybody hate Trump, and so that desire becomes narrative, and then that narrative becomes the result of polling data. And since the media so hates Trump, they want everybody else to. Therefore, the trend is pro-Democrat, in the midterms, in their polling data, because people have awakened and realized what a mistake they made in voting for Trump. None of that is true, except on the hard left, where it's always been true. There's nothing new about it. And it's not confined to Trump hatred; it's hatred of everybody that isn't them. Like I say -- just based on the last two weeks and the Kavanaugh hearings -- the Democrat Party today, as constituted, deserves to lose in the biggest landslide in the history of landslides. The Democrat Party deserves to get bopped for the tactics they have engaged in, for the actions taken by their lunatic and paid supporters. It's just outrageous, the kinds of things that they are engaging in. And in a decent world and in a sane society, they would be punished greatly in the midterms. I still hold out hope that they could be. My point is we will get to all of this as the days unfold in this week and in coming weeks. RUSH: I have a story here, Investors.com. "U.S. Has 3.5 Million More Registered Voters Than Live Adults." How many votes did Hillary win the popular vote by? Three million. It's interesting, isn't it? 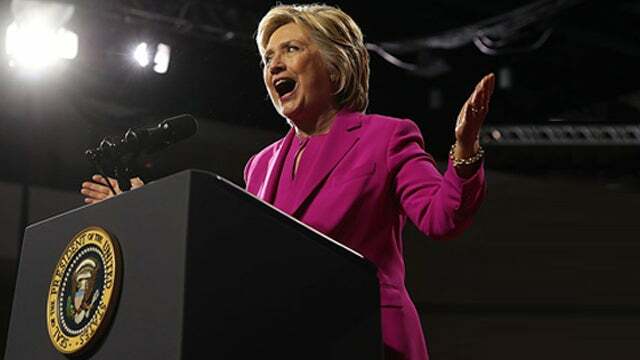 And, by the way, speaking of Hillary exonerating Bill, saying, "Well, because Monica was an adult," I didn't get to that today because, frankly, the Clintons are not the front of my memory bank, but we'll do that tomorrow. I owe it to you to weigh in on that. You want to hear it; so we'll do it then.